Two bedroom, two bath house on 5 acres. 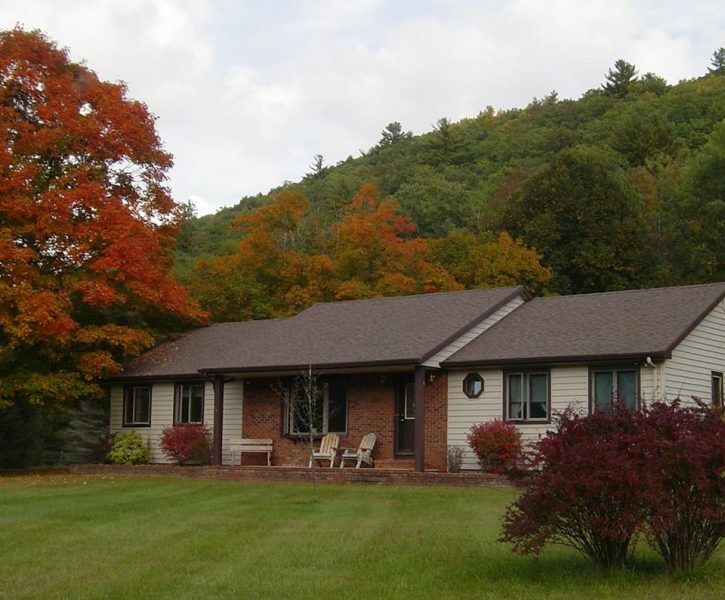 Located on the picturesque Delaware River in Callicoon, NY. Two hours or less from New York City. Available for vacation rental or long term. Immaculate condition. Central Air. BBQ facilities. High-speed internet. Washer and dryer. Full kitchen with eating area overlooking the back deck. 2.5 miles from town and the grocery store, restaurants, movie theatre, bowling, banks, and shops. Beautiful river access with fire pit, ideal for fishing, canoeing, camping or just lounging by the river in the hammock.